General Motors (GM) will be coming out with the highly anticipated 2015 Chevy Silverado 3500 HD soon and they have unveiled a couple significant alterations that pickup shoppers will enjoy. While the frame, suspension and powertrains weren’t changed, the cab, interior, exterior, towing features and bed were all effectively modified. The cab has three new designs. They were redesigned to be more efficient in an accident. Also, it will be a quieter ride, thanks to thicker seals on the doors and windows. A major change in regards to the cab is that the swing-out rear doors were taken out and replaced with traditional doors in the double-cab structure. They added B-pillars to the cab to make it safer and more durable. There are bigger front and rear doors in the crew-cab models to increase the legroom for passengers. The interior was modified as well. There is a larger console screen complete with GM’s new MyLink system. There is also a screen for drivers in front of the steering wheel (between the speedometer and tachometer). There is a tremendous amount of storage space inside the interior. Towing is an important part of this heavy-duty truck. There were some great additions to the towing features. 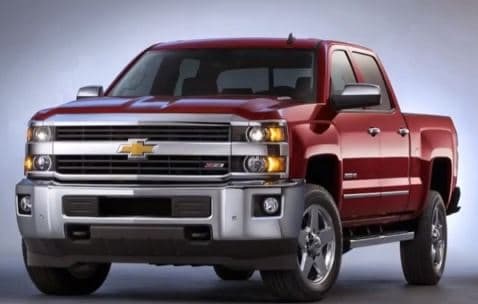 The GM 2015 Chevy 3500 HD increased its maximum weight limit across the board. They also put in a trailer brake controller high on the dash. It makes it more accessible and user-friendly when towing. The StabiliTrak and trailer sway control will be standard in the 3500 model. Also, there were braking features that were improved for towing, such as the aggressive grade braking and the sharp diesel exhaust brake. There were some adjustments made to the beds. They have a bumper step and handle to make it more user-friendly and accessible. There is also the EZ-Lift tailgate feature which makes safer and easier to lift and lower. They placed the tie-down spots in a higher location and more of them to make it secure. It is evident that there were some significant changes made to the 2015 Chevy Silverado 3500 HD model. It is a model that truck-lovers can truly appreciate.